The global market for lubricants is expected to reach USD 70.32 billion by 2020, according to a new study by Grand View Research, Inc. lubricants are widely used in the automotive industry for their benefits and relative lower cost. Hence, the growth of automotive market and industrial production, mainly in the emerging economies of Asia Pacific and Latin America is expected to boost the lubricant demand over the forecast period. Industrial lubricants emerged as the leading product segment in the global market and accounted for 38.6% of total market volume in 2013. Within industrial lubricants, general industrial oils were the most consumed products which accounted for 33.9% of total market volume in 2013. Industrial lubricants were followed by commercial automotive lubricants and consumer automotive lubricants which together accounted for over 60% of total market volume in 2013. Consumer automotive lubricants are expected to be the fastest growing product segment at an estimated CAGR of 2.61% from 2014 to 2020. Further key findings from the study suggest: • Global lubricant demand was 371.17 million tons in 2013 and is expected to reach 44.22 million tons by 2020, growing at a CAGR of 2.51% from 2014 to 2020. • Asia Pacific emerged as the leading regional market for lubricants and accounted for 40.8% of global market volume consumed in 2013. Asia Pacific along with being the largest market is also expected to be the fastest growing market for lubricants, at an estimated CAGR of 3.49% from 2014 to 2020. Owing to favorable government policies, domestic demand and demographical advantages, APAC has also emerged as the leading lubricant manufacturer on the global scale. • North America and Europe are fairly mature markets for lubricants and are expected to grow at a relatively sluggish rate over the forecast period. • Global market for lubricants is highly fragmented with top four companies accounting for just over 40% of the total market in 2013. Some of the leading companies operating in the global market include Royal Dutch Shell, Exxon Mobil Corporation, British Petroleum, Lubrita Lubricants company, Total, Chevron Corporation, Fuchs Lubricants, PetroChina, Sinopec, Valvoline and Idemitsu. 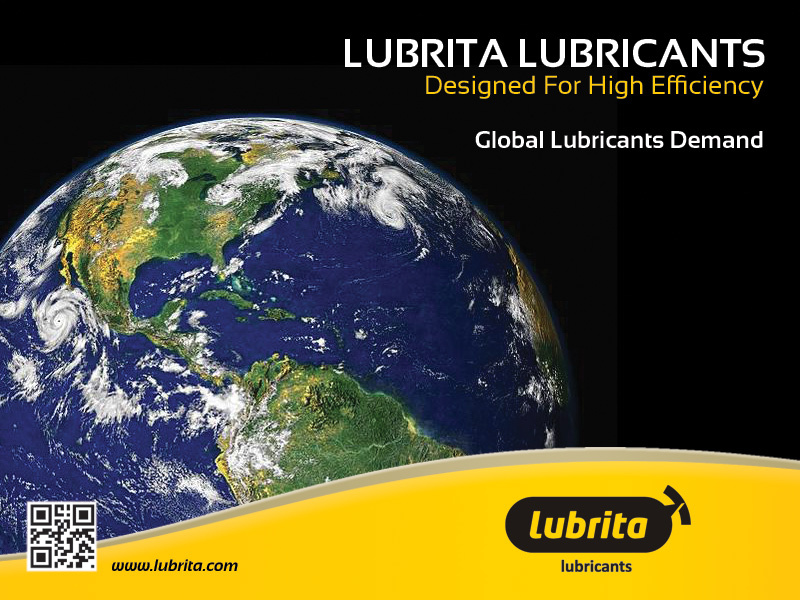 For the purpose of this study, Grand View Research has segmented the lubricants market on the basis of products and region. • Industrial • Process Oils • General Industrial Oils • Metal Working Fluids • Industrial Engine Oils • Others • Commercial Automotive • Heavy-Duty Engine Oils • Hydraulic & Transmission Fluid • Gear Oil • Grease • Consumer Automotive • Passenger Vehicle Engine Oils • Automatic Transmission Fluid • Gear Oil • Grease and petroleum Specialties.